Books Illustrated are excited to announce the opening of the beautiful Are We There Yet? 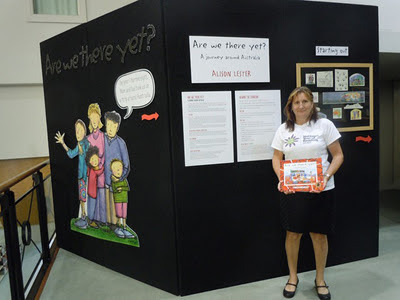 National Year of Reading exhibition in The Northern Territory Library, Parliament House, Darwin. The exhibition was first curated by Books Illustrated in 2004 to celebrate the launch of this famous picture book by Alison Lester. Since then it has travelled widely around Australia and even gone as far as Tokyo. The exhibition shows both the original illustrations as well as the preliminary and developing stages in the making of the book - from Alison's children's actual travel diaries, through text, illustration and design drafts, to the final published book. It includes a number of folios of developmental drawings. 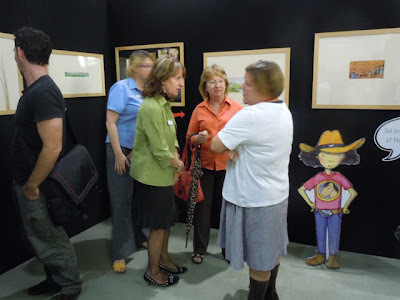 An fascinating addition to the original exhibition is a special display and range of activities for the braille version of the picture book published by Vision Australia. The exhibition will tour to 8 venues in 2012, one for each state and territory. Starting in Darwin from the 1st - 22nd of February and the exhibition will end in Victoria in December 2012. 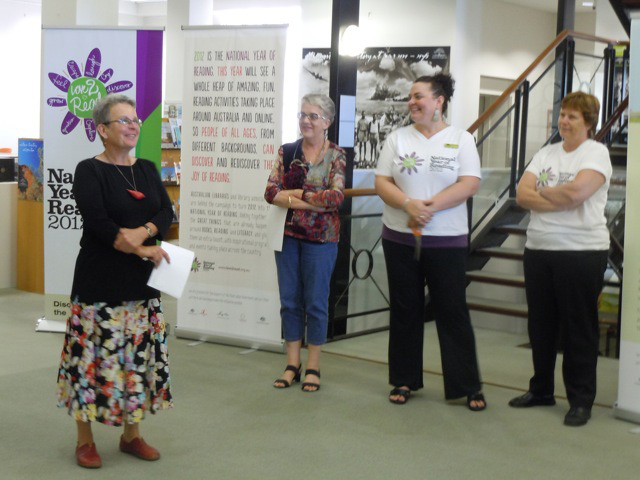 As the curators of the exhibition the Books Illustrated team, Ann Haddon and Ann James, were thrilled to be invited to the opening in Darwin on Wednesday 1st February. ( A detailed itinerary will posted soon on this blog and on the National Year of Reading website). 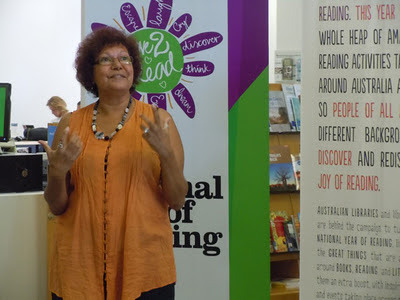 Award-winning Darwin author and National Year of Reading ambassador, Marie Munkara, was invited to open the exhibition. Her first book Every Secret Thing was awarded the 2010 Northern Territory Book of the Year. There is a National Year of Reading competition based on the book Are We There Yet? 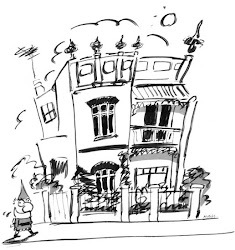 where children are encouraged to write and/or illustrate about their own town or special place they've visited in Australia. Visit the NYoR website to find out more. A proud Cathy Hilder, I Manager, Public Library Services Northern Territory Library, who managed the opening and exhibition installation. Marie Munkara, author of "Every Secret Thing" who introduced the Are We There Yet? exhibition at the opening. Ann James from Books Illustrated explained the history of the Are We There Yet? exhibition and spoke on behalf of Alison Lester. Visitors at the opening (Cowboy Grace in the background). 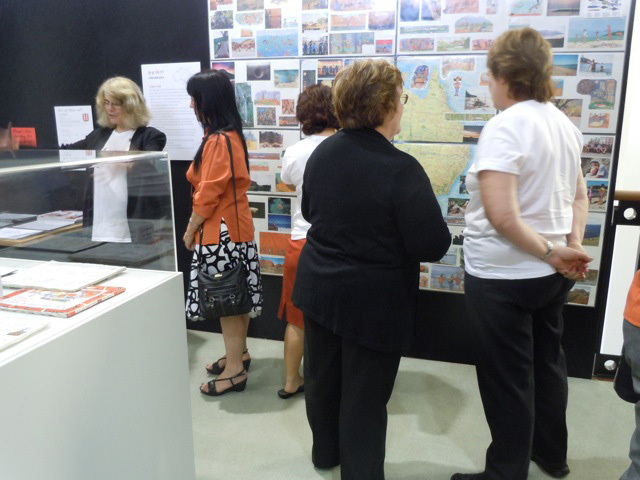 Enjoy a sneak peak at the impressive map of Australia surrounded by Alison's family photographs.